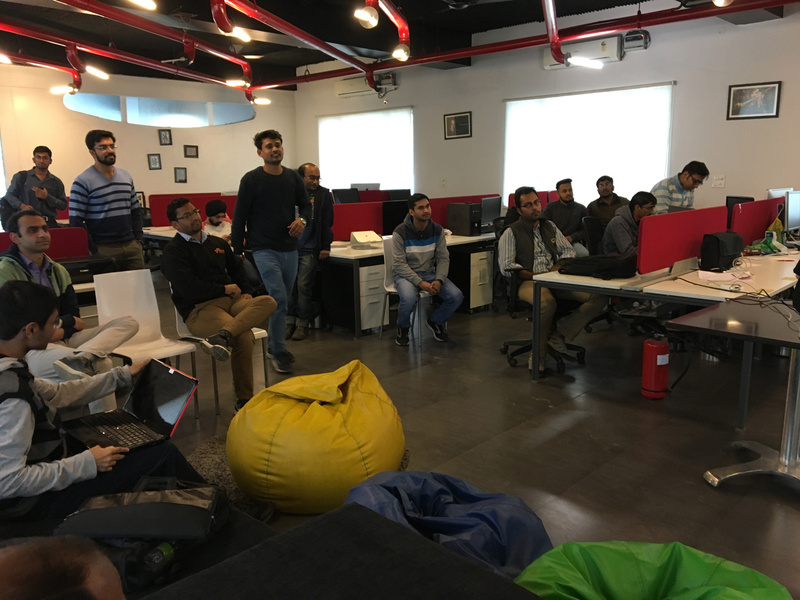 So the machine learning themed pydelhi meetup kicked off with Vishal (https://github.com/vishalsangwan) giving a talk on OpenCV and facial recognition. Vishal started off with first clearing some basics about video and image capturing where he talked about how a computer handles video input. He uses OpenCV to take in video input using his laptop camera. Afterwards he uses facial recognition datasets to track faces in his video input using his Rasberry pi and tried out different datasets. Then there was a quick lightning talk given by Raju. Then we broke for snacks and networking involving a very intense foosball competition. 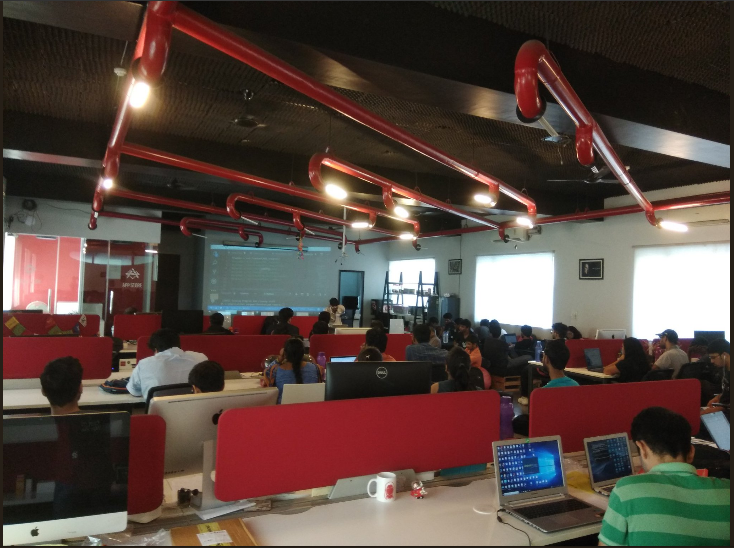 The Second Talk was given by Praneet Nigam(https://github.com/Praneet460) following on the Machine Learning Train by giving a talk on Matplotlib, Seaborn and Pandas where he showcased some ways to data filtering and classification. Praneet Used a Pokemon dataset where he evaluated features of his pokemon dataset which included the height, weight and type of pokemeon. all required data for the talk can be found here.(https://github.com/Praneet460/DataVisualizationPyDelhi). We ended our machine learning themed meetup with community mixer and hiring pitches.